Looking to import or export but don’t have the slightest idea on how to get started Here are a few websites to visit that will get you moving in the right direction. North American Importers Association: Brings US importers, buyers and wholesalers together with exporters around the world. Helps with sourcing by matching up suppliers and verifying them at the same time. GlobalTrade.net: Serves as a knowledge resource for international trade professionals. They feature more than 60,000 listed service providers in 180 countries. In addition, they show more than 21,000 items by their strategic partners. GlobeTrade.com: Helps entrepreneurs and small businesses expand internationally. You might also check out the wholly-owned subsidiary of GlobeTrade.com, GSBB Media LLC, which publishes the top-ranking blog in the world for entrepreneurs and small business owners interested in global trade: The Global Small Business Blog. Full disclosure: I own this company. Kompass: Supplies global business information on more than 2.2 million companies in 70 countries. Buyers can pinpoint suppliers and send them requests for quotes. You can also search and find suppliers across the world by industry, products or services. Port Import Export Reporting Service: Provides current, comprehensive data on international trade. 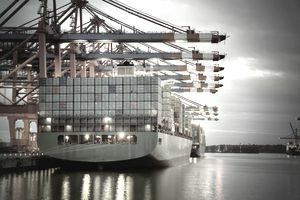 According to its site: "PIERS converts raw data from over 17 million bills of lading filed with US Customs into solutions that deliver market-specific insights, competitor intelligence, and customer-centric analysis. PIERS tracks 100% of US seaborne imports and exports made available by US Customs." In addition to complete US trade data, you can access detailed import and export transactions for 14 international markets and trade statistics for more than 80 countries. Small Business Exporters Association: Encourages the promotion and growth of exporting U.S. goods and services produced by U.S. based small and mid-size businesses. In addition, you can access the latest exporting news, including Small Business Exporting Survey, what the Trans-Pacific Partnership means for your small business, and whether TPP a good deal for small businesses. The Federation of International Trade Associations (FITA): Provides international import export trade leads, events, and links to more than 8,000 international trade (export-import) related websites. In addition, FITA has 450 association members and 450,000 linked company members dedicated to the promotion of international trade, import-export, international logistics management, and international finance. USA Trade Online (provided by the U.S. Census Bureau): Delivers current and cumulative U.S. export and import data for over 18,000 export commodities and 24,000 import commodities. Further, you access current and cumulative U.S. export and import data on different types of customers from a wide range of industries and fields. Manufacturers and other businesses in importing/exporting who desire to expand their business globally can utilize USA Trade Online to identify new markets, evaluate existing markets and perform other market research tasks. As an added bonus for the women executives, entrepreneurs and business owners involved in international trade, have a look at nonprofit Women Entrepreneurs GROW Global because they offer educational webinars and on-the-ground workshops on how to take a business global. Full disclosure: I serve as Executive Director of WEGG.